Malabar Gold & Diamonds strengthens its presence in NCR region. This is the fifth outlet of the region. Dubai, UAE, April 30, 2018: Malabar Gold & Diamonds, one among the BIG 5 jewellery retailers globally with a strong retail network of over 215 retail outlets spread across nine countries has strengthened its presence in the National Capital Region by opening a new store. The new store located at South Extension Part-1 in New Delhi, India is the 216th store globally. 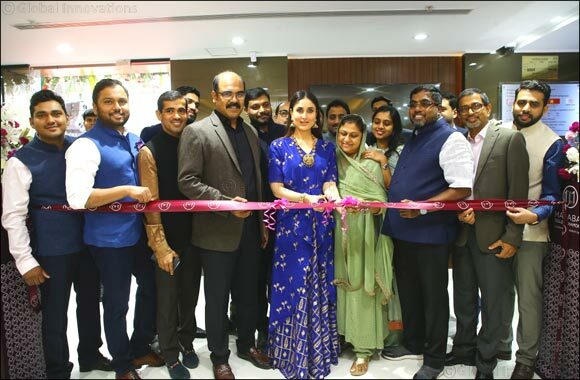 Bollywood Star Kareena Kapoor Khan inaugurates this wonderful store to the public on 27th April in the presence of Mr. MP Ahammed, Chairman - Malabar Group, Mr. Shamlal Ahamed, Managing Director – International Operations, Malabar Gold & Diamonds, Mr. Abdul Salam KP, Group Executive Director – Malabar Group, Mr. Asher. O, Managing Director – India Operations, Malabar Gold & Diamonds, Mr. Nishad AK, Group Executive Director, Malabar Group, management team members, media & well-wishers. The jewellery retailer now has five outlets in the NCR and is also planning three more outlets in the region, apart from another four stores in Haryana and Punjab. Recently it opened a showroom at Sector 18, NOIDA. “This is in sync with our well-laid-out expansion plans to open 500 showrooms by 2022, thus spreading our wings globally and emerging as the sole leader in jewellery trade. The customer trust is our biggest trigger for the expansion and growth over the last 25 years. The quality and the uniqueness of designs make Malabar a preferred choice for the customers world over. We are committed to the satisfaction of each customer we cater to” said Group Chairman Mr. M P Ahammed. The company recently signed up Miss World Manushi Chhillar, as its brand ambassador, and it was the first brand endorsement by the petite Miss World who brought home the world crown after 17 years. Kareena and Manushi together recently kicked off the Brides of India Season- 6 campaign based on the theme 'Celebration Bride’, showcasing an extensive array of aesthetically crafted jewellery that perfectly blend with the themes and essence of different cultures and traditions across the country.